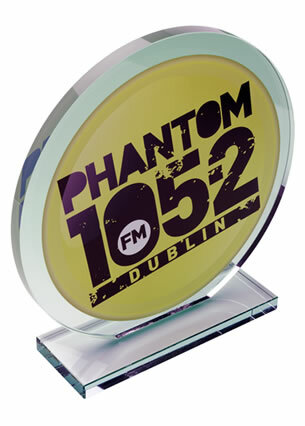 These stylish 10mm thick glass plaque awards have an attractive oval shape design with frosted glass detail. 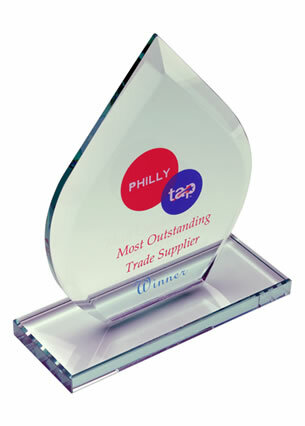 They provide a great looking award at great low prices. 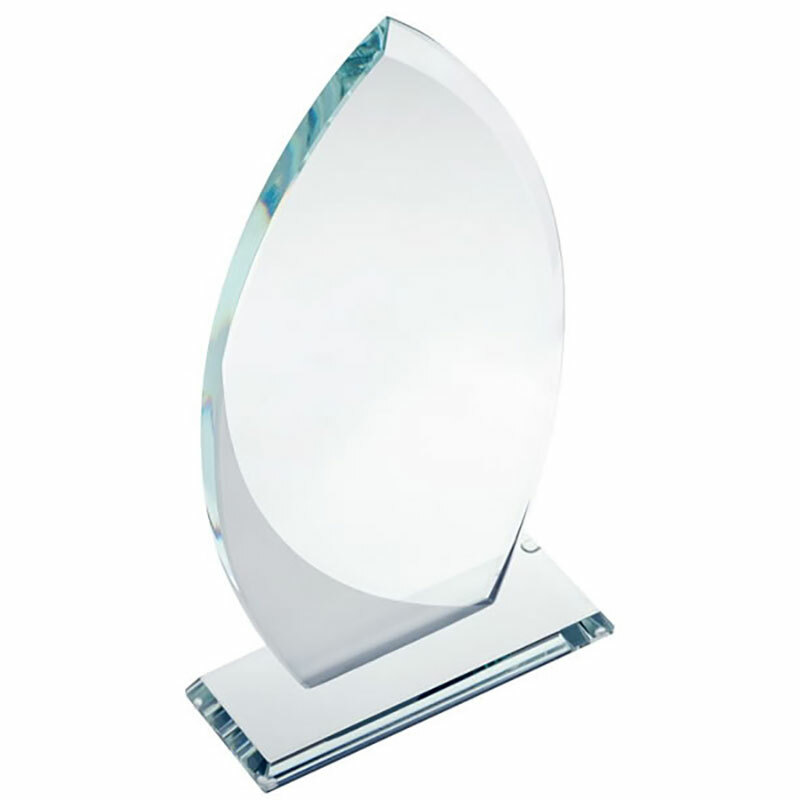 These versatile awards plaques have maximum dimensions of 24cm x 12.5cm and are suitable for recognising and rewarding a wide range of events and achievements. 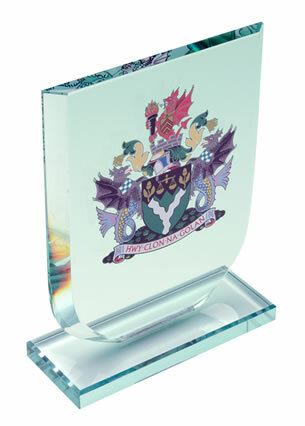 The flat front of these glass plaques provides a large area for customising and they are offered with engraving and/or colour print options.